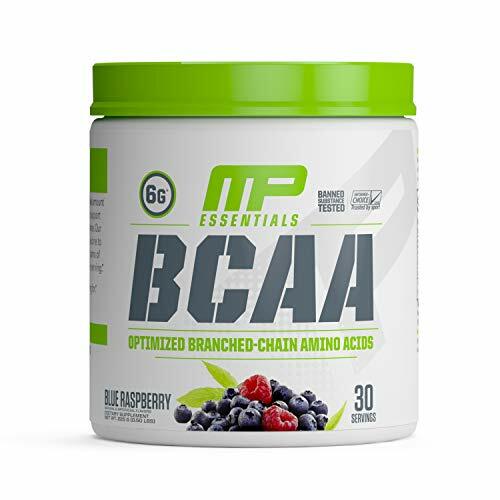 Branched Chain Amino Acids (BCAAs) are simply three amino acids with similar structures used to build muscle and enhance sporting performance. BCAAs are comprised of three amino acids, specifically. These are: leucine, isoleucine, and valine. These 3 amino acids typically make up approximately 35% of muscle protein in the body. Although BCAAs can be found in all protein-rich food such as meat and eggs, direct supplementation continues to grow in popularity among bodybuilders and athletes across the globe. What are BCAAs used for? There are two primary mechanisms by which athletes can benefit from supplementing with BCAAs. The first is to increase protein synthesis (muscle building). Numerous studies have shown that BCAA supplementation helps to facilitate muscle protein synthesis, primarily via the amino acid leucine. Secondly, supplementing BCAAs have been consistently shown to increase sporting performance. They do this by offsetting fatigue in serum BCAA levels during intensive exercise, which are important for maintaining endurance and also strength levels. Furthermore, BCAAs can also an effective way of staving off catabolism (muscle wastage) during dieting. They do this by sparing crucial amino acids used to keep the body anabolic, which are sometimes broken down for emergency energy during periods of calorie restriction. In order to maximise BCAA supplementation, it is typically suggested to ingest 5-10gm of the product per serving, before, during and after workouts. Most BCAA supplements will contain a 2:1:1 ratio of leucine to isoleucine/valine, and the majority of scientific research is conducted around utilizing the supplements in this ratio. People complain that they don’t feel any increase in muscle gain and strength when taking BCAA’s. They take the standard dose of 5-10 grams mostly during the workout. 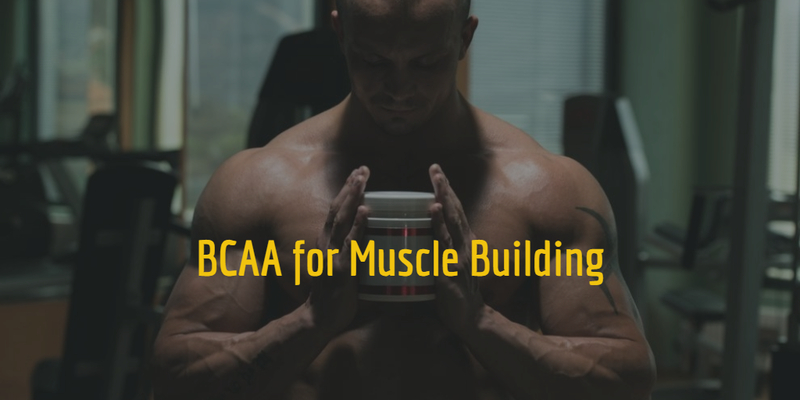 There’s no denying to the fact that BCAA is a muscle builder. The more you feed to your muscles, the better. Most people take the standard serving of 5-10 grams and it is, for this reason, it doesn’t work for them. You need to ingest more BCAAs into your system to see noticeable gains. For someone my size (200 pounds at height of 6’2″ ), I’d need about 30-40 grams of BCAA per day for strength and muscle gain. Because BCAAs are such a diversely impressive supplement, there has been much debate as to when is the optimal time to consume them. Ideally, they should be taken 4-5 times per day for noticeable results. Most important time, however, is at the end of your workout, which enhances muscle protein synthesis. And to get the most of your growth hormones released post training. BCAA Before Fasted Cardio: Using BCAAs before fasted cardio spares muscle tissue from being broken down for energy. Whether it’s high-intensity interval training (HIIT) or low-intensity steady state (LISS) cardio, BCAA usage should always be considered mandatory before fasted cardio sessions, irrespective of the exercise modality. BCAA Pre-Workout: Consuming BCAAs 15-20 minutes pre-workout can help to offset workout fatigue and increase overall training performance. BCAA Intra-Workout: Furthermore, you can consume BCAAs during your workouts. This has been shown to be an effective way of prolonging training intensity and overall strength and endurance over the course of a session. BCAA Post-Workout: Immediately after a workout when BCAA levels are naturally depleted in the body also serves as an effective window for direct supplementation, in order to replenish plasma amino acid levels. This may also kickstart the recovery process and the facilitation of new muscle mass. BCAA In-between Meals: Supplementing BCAAs can overcome the refractory response of muscle protein synthesis between each meal. I.e. consuming a BCAA supplement around 1-1.5 hours after a whole food meal can be an effective way of ‘re-boosting’ protein synthesis levels, in a way that whole food wouldn’t be able to. BCAAs can be a vital tool in your supplement arsenal if you use them in a constructive manner. As can be seen in the recommendations above, their usage varies depending on your needs and current training goals. If your diet is already rich in protein, then the need to supplement with BCAAs directly may be more focused on using them to increase workout performance. During periods of calorie restriction, BCAAs can be an effective tool to preserve important amino acids in the body and fight off catabolism, enhancing your efforts to hold on to lean muscle tissue as the weeks and months go by.